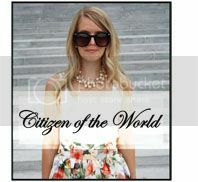 Citizen of the World: Blues and Floral! love the pants, cant believe they are old navy! Cute jeans, the print is fab! 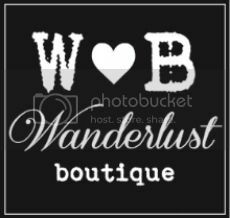 The knotted shirt is such a great pair for them! 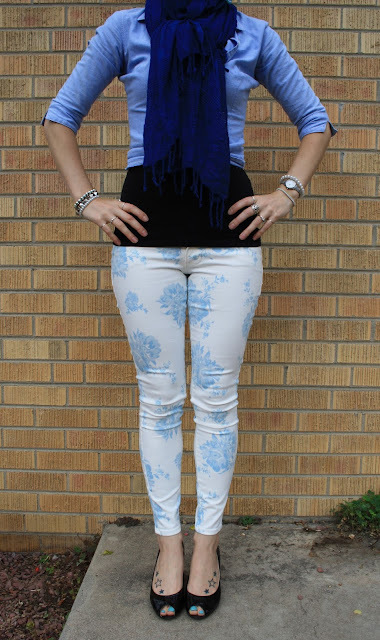 Love your white jeans with the blue floral print girl! What a lucky Old Navy find! 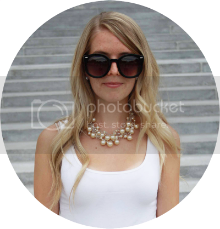 And I wholeheartedly support you wearing white after labor day;)! Great combination with the different shape of blue. Love the printed pants you could put so many different colors with your pants and give it a whole new look. LOVE your pants! So versatile!